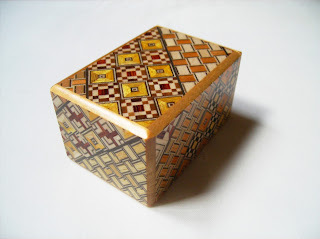 It's been more than 3 years since I started my mechanical puzzle collection and almost 700 puzzles later, I can finally say that I have on my collection a Japanese Puzzle Box (or should I say Boxes. Keep reading to find out). I found out about these puzzle boxes almost from the beginning of my crazy (wonderful) hobby, but what kept me from buying one was always their high price. Some of them can cost up to $1000 USD or more, but the average is somewhat between $100 and $200. I know now that there are more affordable options out there in the 50$ and below price range. After seeing a few of these in eBay, I just had to get one. - The Japanese Puzzle Box is essentially a Trick Box, where you have a hidden sliding mechanism that you need to figure out, before you can open it in its entirety. They can range from 2 to hundreds of steps (I even saw in Wikipedia that they can get up to more than 1500 steps, but I have yet to see one). - There's no particular name for a specific box. They're distinguished by their length in Sun (1 Sun = 3 cm approx.) or Mame (the miniature ones with only 3 cm), and the number of steps needed to open them. 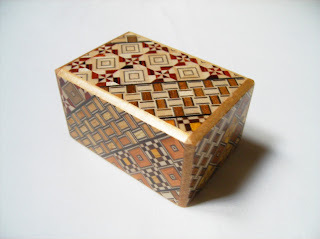 Occasionally you can see a Japanese word after a name, for example: Japanese Puzzle Box 5 Sun 10 Step Kuroasa - meaning it's referring to the pattern type used in the inlaid work. - They require special care in order to function properly, because of their fragile and small details in the opening mechanism. Keep them stored in a hot and humid-free environment and also away from the open air (in a shelf, unprotected). 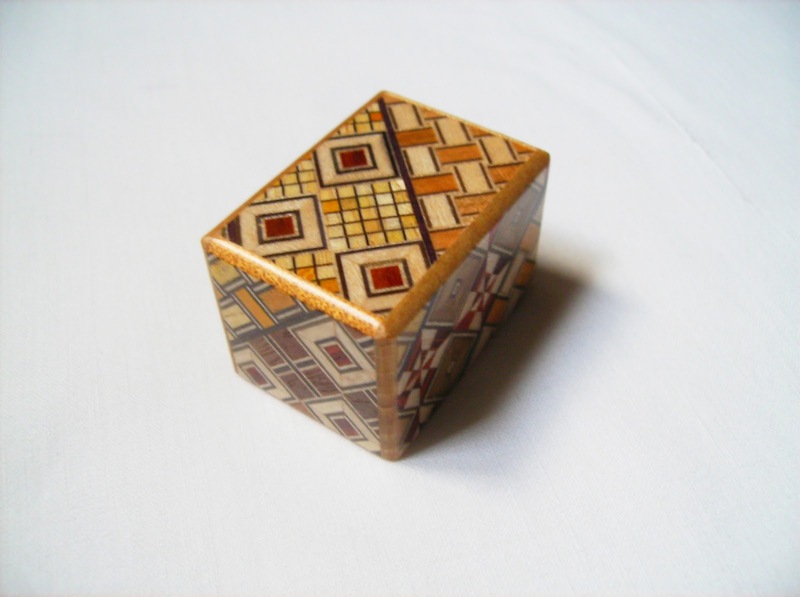 Otherwise the wood can be swollen or expand, ruining the puzzling experience. - In a bit of history, the Japanese Puzzle Box or Himitsu-Bako (trick box) originated in Hakone-Cho, Odawara district of Kanagawa prefecture, Japan. The exact date isn't known, but they started to appear in the late Edo period (1603-1868), and were perfected in the middle of the Meiji period (1868-1912). 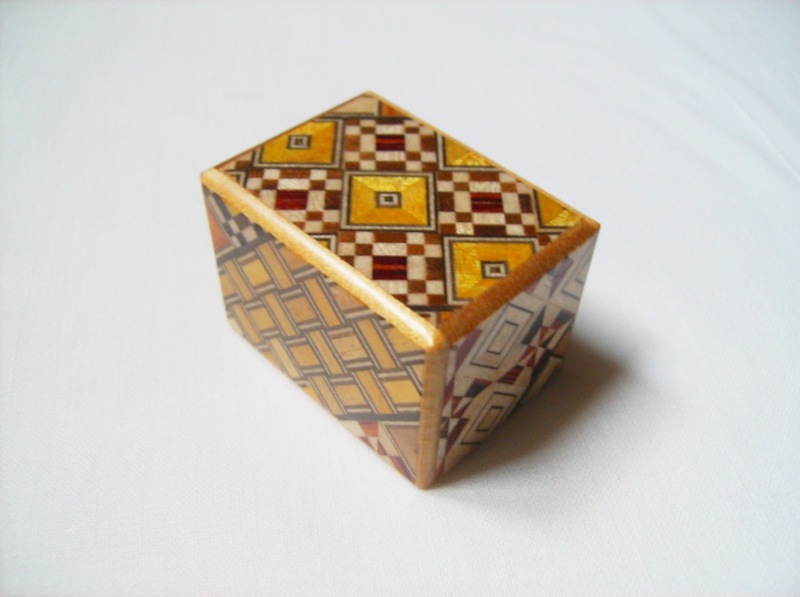 It's two boxes - the main one is a Japanese Puzzle Box 2.5 Sun 5 Step, and the great thing is that it nests a small Mame 22 Step Box. 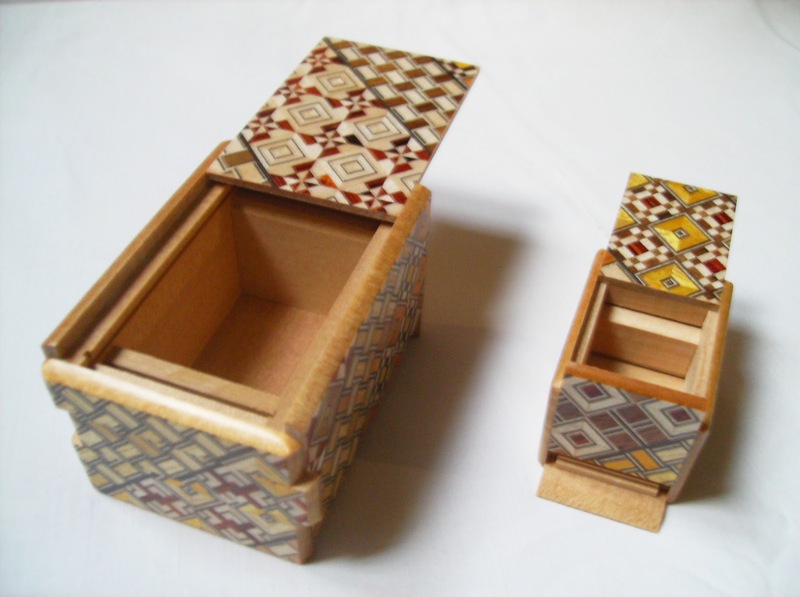 They're both creations of the Japanese designer Hiroyuki Oka and the wood used is Katsura and Agachisu with Yosegi inlaid work. The large box, as stated above needs 5 steps to be opened. They need to be done in a specific order, but they're not linear, meaning that after you figure out the first step, the next one is a completely different movement. Because of this more complex system, you need to observe the box thoroughly and find any distinguishable misalignments in the pattern. Most likely they will lead to a sliding part that belongs to another step. Opening the box is not that hard, even for a non-linear opening mechanism, as the number of steps is very low compared to the other higher-order boxes. I believe that discovering the first two steps can be a bit tricky, but after that you'll be more familiarized with the process and the next ones will follow in no time. 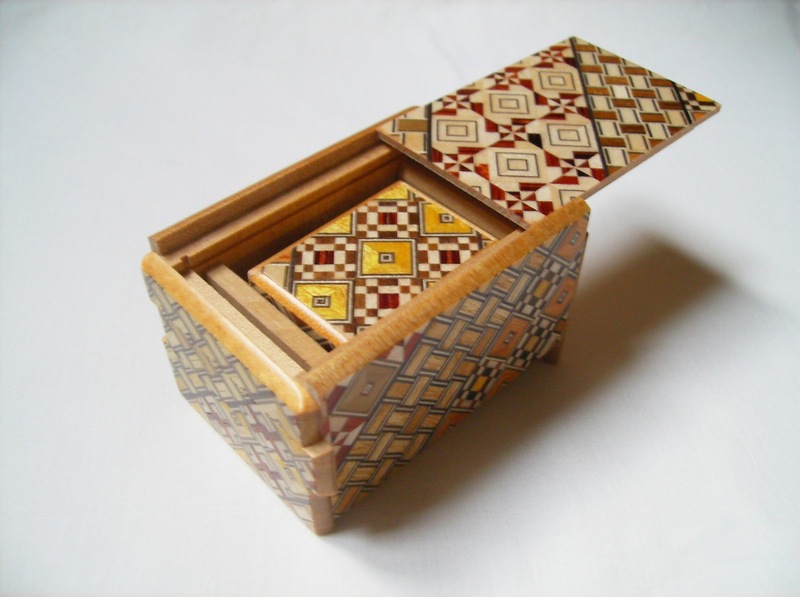 The second box is much easier to open, despite the 22 steps, mainly because the opening sequence is very linear. Were the box to have 100 steps and the difficulty would be exactly the same. When you figure out the first two or three steps, you'll notice that they're all the same type, so you can just continue on that until you finally open the box. 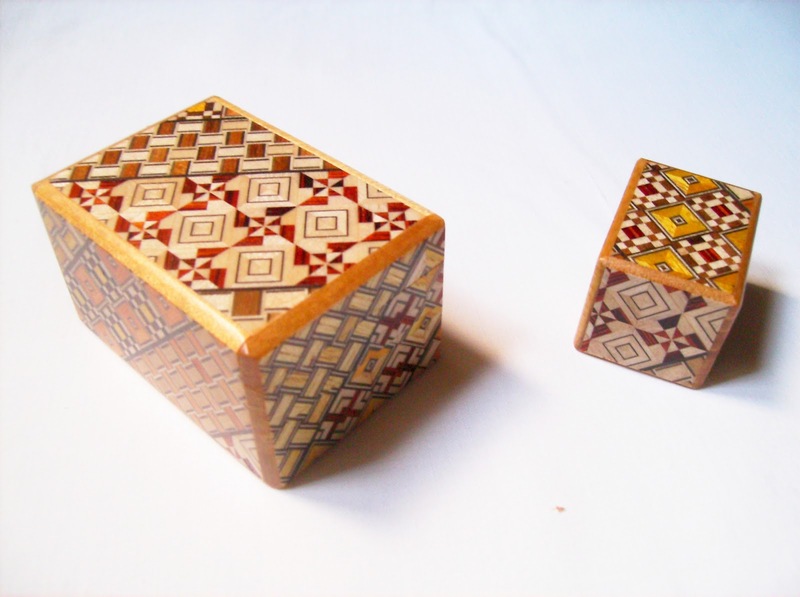 When you receive the puzzles, they come in two separate gift boxes, but after you solved them both you can store the Mame box inside the bigger one. This way they're more protected and you can also surprise someone else with solving the 2.5 Sun box, only to find another one to solve right away. What first caught my attention was the fact that you could fit a Mame series box inside the main one, as I've never seen that before. I'm also glad to know now much more about the history and facts about these great works of art. 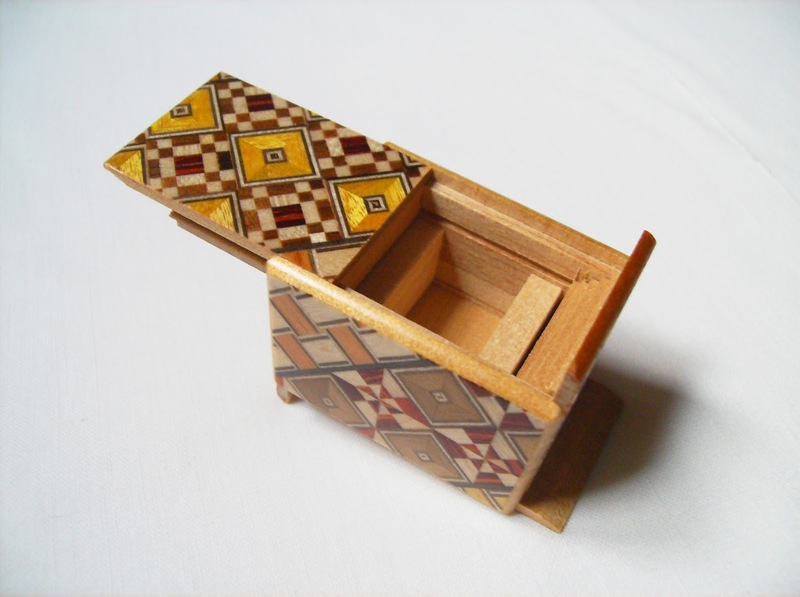 Not only a craftsman awes you with the intricate work behind the opening sequence and complex fine details in the mechanism, but also with the beautiful and eye-candy inlaid work that is used, which is a true art form.